The first thing to know about Jordan Peele’s US is that it is not an explicit social comment in the manner of his horrific cultural touchstone GET OUT. Go in expecting an all-cylinders scarefest done with all the panache Peele displayed in his previous movie, and one in which the metaphors are submerged much deeper than in that study of racial inequity. US, which is more concerned with class than race, is a film whose statements require teasing out in post-viewing analysis. You could take as a signal the fact that the title has been styled as “Us” rather than “US,” which would more explicitly suggest an analog for U.S. US, which premiered at SXSW on Friday and opens theatrically March 22, begins with a young girl having a frightening but not fully elaborated encounter in a hall-of-mirrors attraction near the Santa Cruz, CA boardwalk in 1986 (the time and place allowing Peele to slip in an amusingly offhand LOST BOYS reference). We then meet back up with Adelaide Wilson (Lupita Nyong’o) in the present as she travels with husband Gabe (Winston Duke), teenage daughter Zora (Shahadi Wright Joseph) and young son Jason (Evan Alex) on a vacation to Santa Cruz. She’s uncomfortable about going back to the scene of that childhood distress, though at first all seems sunlit and pleasant as the Wilsons settle into their modest summer house and hang out on the beach with longtime friends Josh and Kitty Tyler (Tim Heidecker and Elisabeth Moss) and their teenage daughters. As their day goes on, a couple of slightly unnerving incidents hint that perhaps Adelaide still has something to worry about, and her fears become founded that night, when a family identical to the Wilsons—aside from their all-red garb—appears outside the house. Working in the venerated horror tradition that exploits the frightening potential of facing a malevolent opposite of yourself, Peele ups the ante with this complete brood of hostile alter egos, wielding wicked-looking scissors—a weapon whose significance only becomes clear later on, once we learn more about the nature of these attackers. The writer/director saves this exposition for late in the game, after running the Wilsons through a gauntlet of harrowing and violent encounters. The meaning of what’s happening becomes secondary in the moment, as Peele, with the help of a first-rate team of artists and craftspeople, stages and shoots the threat and attacks of the doppelgangers for both suggestive shivers and gut-wrenching immediacy. This is one of the most finely honed horror films in recent memory, as Mike Gioulakis’ textured cinematography finds the fright in both ominous night and sun-drenched daytime, and Michael Abels’ eerie/jittery score keeps us on edge as much as the Wilsons. The performances are terrific, and literally doubly impressive as the four leads enact distinctively otherworldly personae for the Wilsons’ second selves. In particular, Nyong’o—essaying her best role since winning the Oscar for 12 YEARS A SLAVE—is compelling throughout as Adelaide confronts both the present threat and her past trauma, while investing her doppelganger with uncanny menace, and little Alex demonstrates skill beyond his years playing both an average kid in inexplicable circumstances and his animalistic counterpart. Both Jason and his deadly opposite wear masks—the former a store-bought monster face, the latter something far spookier—one of the more conspicuous ways in which Peele employs commonplace signifiers in the early going that have macabre echoes later. Like Wes Craven in THE HILLS HAVE EYES, Peele uses JAWS iconography (a T-shirt Jason wears) to counterpoint pop-cultural horror with the true and immediate terrors plaguing his central family. The many details planted throughout US by Peele and production designer Ruth De Jong indicate that this is a fully thought-through vision, and it’s one in which the meanings come through in natural, unforced ways. Peele and De Jong don’t force the disparity between the middle-class Wilsons and the more well-to-do Tylers; the specifics of each family’s existence speak for themselves (my favorite bit: the Tylers’ expensive boat is awkwardly christened “B’Yacht-ch”). Similarly, the fact that the protagonists are essentially fighting themselves both heightens the creep factor and is fraught with undertones, which Peele doesn’t explicitly specify. There’s plenty of exposition about where the doubles come from in the final act, and it doesn’t make matters as clear as it might (I’m still not sure what’s up with all the rabbits). The intended subtexts feel less concrete than open to interpretation; you can see some of Peele’s climactic imagery involving the doppelgangers as a statement about the place our country is in right now, though it will probably occur to you only after the movie is over. It will likely take a repeat viewing to suss out everything Peele is getting at in US, and it’s certainly good and scary enough to warrant a second visit. First of all, Mr. Gingold, you write beautifully. It was a pleasure to read your review. Now to the movie: I am wary of movies addressing social issues, especially race, because reviewers tend to lavish praise on such films, whether deserving or not. Also, I don’t go to movies to be preached at. 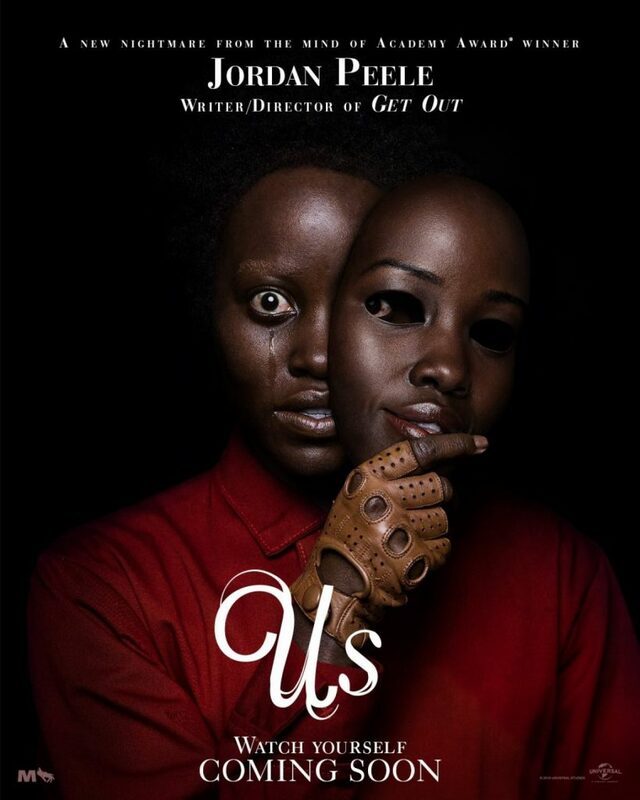 That being said, “Us” looks to be a solid horror movie with the potential for some good scares, which is why we watch horror in the first place. If a horror movie doesn’t succeed in frightening or at least disturbing its audience, any other message it might have is lost on its intended audience. I will definitely be seeing this one in the theater.